On Saturday the 19th of November 2016 I lectured at the Nordic Game Day at the public library in Gävle, Sweden. 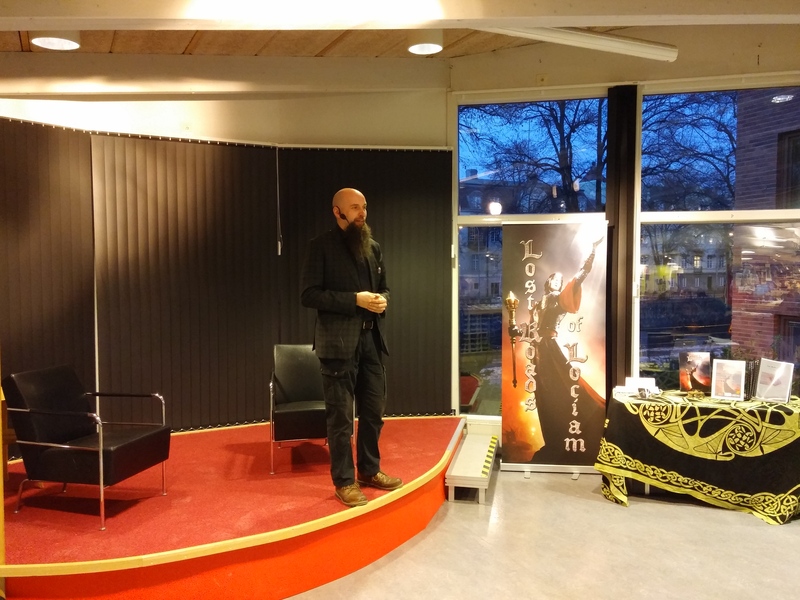 I had an hour at my disposal, and talked about roleplaying games in general, their history and development over the last few decades, and about Lost Roads of Locaim in particular. It was a fun time, and I got the chance to connect to some people, new and returning players in equal measure, and got to set up my little stall to sell a few books. I am happy to have attended and look forward to seeing more of you around. I would be happy to return, if given the chance, especially if I can get the next version of the game up and running.